I got a surprise batch of plums from a neighbor friend yesterday and made 21 half-pint jars of Cinnamon Ginger Plum Jam with Lillet. That still left a ton of plums so I'll be working on making Cardamom Plum Fruit Leather. If there's any left over I might make some Plum Bread for freezing or I might just freeze the plums straight up for use later. I checked on my kale, since I was planning on freezing that as well, but I noticed they are infested by tons of tiny white insects. Anyone know what these things are and how to get rid of them? They are not aphids, I think they are some kind of mite. Finally, in order to save some grapes that were a little too high on the tannin side, I made some grape juice, which was really easy and the kids are enjoying that as well. I have some good news about my apple trees, but that will have to wait for another post because I am too tired. What kind of preserving/canning/freezing/drying are you doing right now? Photo courtesy of Coco Cooks. Sounds like it might be a little bug called "scale"?? At any rate, the dish soap route should kill whatever it is! I have been pickling onions, cherry tomatoes, fennel, and hungarian, wax peppers. When I eat up the goodies, then save the left over pickling juice for salad dressings! I've been freezing corn and whole plum tomatoes, and making tomato confit (Google Emeril...really easy and good!). I canned a batch of green tomato relish and some peach and apricot chutney. I wasn't aware you could freeze kale. Do you blanch it first? I just got another batch of tomato sauce for pasta or pizza in the freezer and I have enough peppers to do something with but I am worn out from the peppers. I got a little carried away planting peppers this year and I have tons. I have made pepper jelly and blackberry pepper jelly, verde sauce, dehydrated them, frozen them, given them to friends and cooked,cooked, cooked with them. And they are still coming on. I have some peaches in the freezer so I might have to make peach pepper jelly. I finally broke out the pressure canner and have been putting up pasta sauce. I've also made some straight up strawberry jam. My kids won't go for the fancy flavors and I'm still eating my way through last years strawberry cayenne jam. Let's see. Tons of relish - tomato, corn, cucumber and zucchini. I think I'm just about done because whew, I'm tired! Can't image how you must be feeling. My brassicas always get infested with grey aphids, they are a greyish white and kinda fuzzy. mostly wingless. I have never had any luck curbing them once they set in. I have tried washing them off, soaping them off wiping them off. Hate them... whats worse is they start tucking the leaves around them ...making it even harder to get to them. I am freezing tomato puree - raw and straight, then I thaw it and season it however I want in the cooking process - and making apple-pear sauce. Pressing cider. 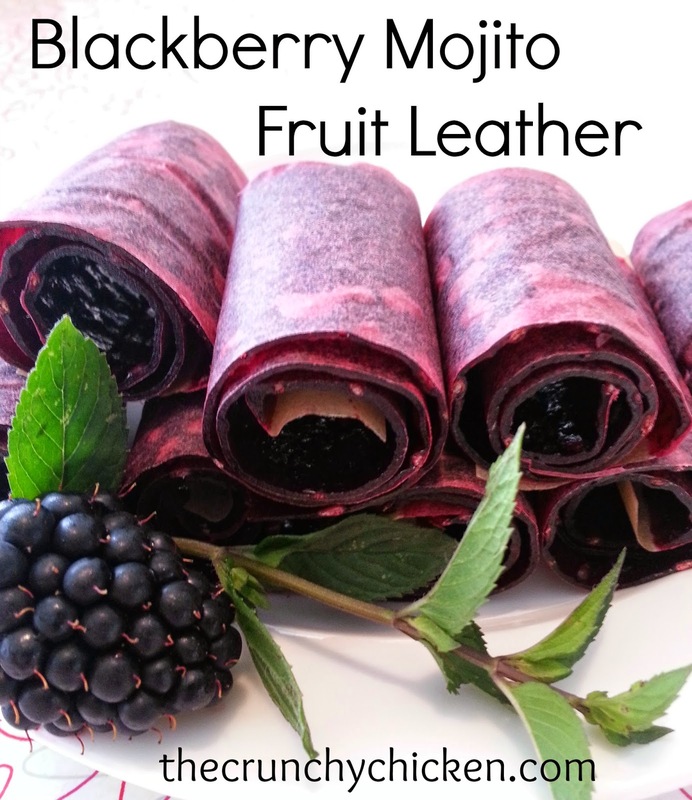 Would you mind posting how you make fruit leather? I do have a dehydrator but I haven't tried fruit leather. My kale was covered in white flies. It got diseased somehow so I ended up pulling it all up. Those flies were very annoying, but I don't think they caused the disease. Sandy - With the kale you should blanch it for 2 minutes and plunge in ice water. Someone suggested freezing the leaves on a tray and then packing in freezer bags - this makes it easier to separate the leaves later. And you won't have to wrestle a big kale wad. Supposedly blanching reduces the bitterness, but some say if you will be adding it to soups and stuff it's not as noticeable. If you will be eating it straight up (sauteed or whatnot), then blanch it. Green Bean - What's your recipe for pasta sauce? I have access to a pressure canner and would like to give it a whirl. Do you need to follow a specific recipe with a pressure canner? Aimee - I'm using this recipe, which is based on this one for strawberry leather from Gourmet. I'll cook it longer than the 10 minutes since I think that was part of the reason it took longer for the fruit to set in the first recipe. I'm guessing white fly on the kale, too. It's been a while but I'm pretty sure that I've had that problem with brassicas in the past. I've also read that kale sweetens up after first frost, so I'm waiting a month or so for ours before picking. I canned salsa this week, and Roma tomatoes. Froze some carrots from our garden, and also some corn that I bought locally. For just about any canning I'd say a tested/safe recipe is a good idea, but particularly when doing any low acid foods in a pressure canner. My kale gets white fly too.....they are impossible to wash off, so I just bang the leaves around while outside to get them all to fly away. Ummm... I think that's about it. Everything else we are eating up, and our herbs were finished being harvested a couple weeks ago and are already dried and stored in jars.